An original educational toy, TANGRAM CHAN! 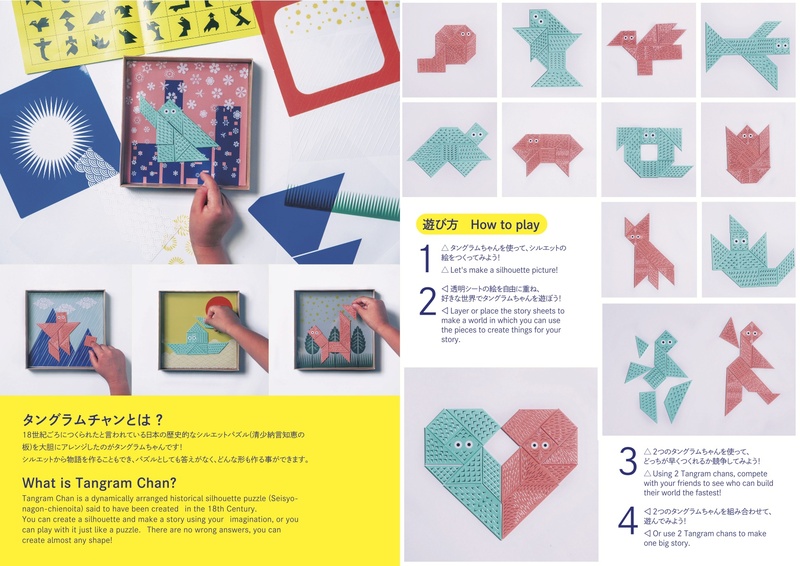 Tangram Chan is a great way to communicate and have fun together! 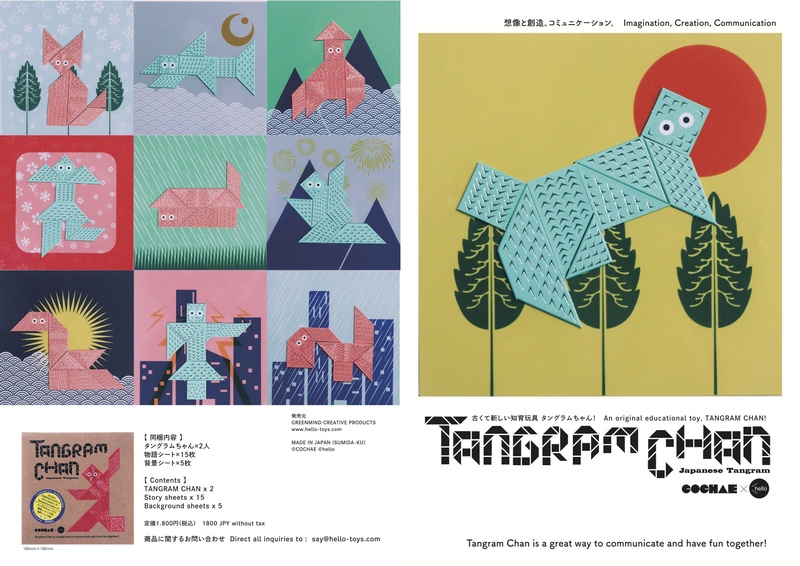 Tangram Chan is a dynamically arranged historical silhouette puzzle (Seisyonagon-chienoita) said to have been created in the 18th Century. You can create a silhouette and make a story using your imagination, or you can play with it just like a puzzle. There are no wrong answers, you can create almost any shape! 1: Let’s make a silhouette picture! 2: Layer or place the story sheets to make a world in which you can use the pieces to create things for your story. 3: Using 2 Tangram chans, compete with your friends to see who can build their world the fastest! 4: Or use 2 Tangram chan to make one big story. copyright© hello-toys all rights reserved.